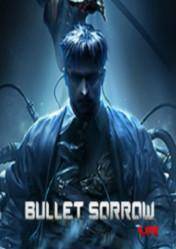 Bullet Sorrow VR is a shooter created to be played in virtual reality, so you will need to have a virtual reality device. At first it may seem like an arcade shooter more, but the truth is that Bullet Sorrow VR hides a quirk that we had not yet seen in any VR action game. What is really interesting about this title, besides its good graphic section, its fast action and the great amount of weapons that we will can handle, is that there is the known as "Bullet Time" with which we will can slow down time and live an experience without equal , and all in a virtual reality environment that helps immersion. As for the history of the title, it will place us in the year 2030 where a mega corporation, called "S Corp", has made incredible advances in the field of armament and human increase. For us, everything begins when we appear, without remembering anything, in one of the bases of this corporation with very little weaponry but with a powerful ability that will allow us to modify the time. It is currently one of the best virtual reality environment shooters we have ever played and the "Bullet Time" introduces a very fun factor with which we will can experience incredible gameplay. Remember that you must have a virtual reality device to play this title, so we recommend you read the section of compatible devices of Steam. There are no comments yet about Bullet Sorrow VR. You can be the first one! BULLET SORROW VR - OCULUS TOUCH ROOMSCALE - SO MUCH FUN!